Membership in the International Federation of Head and Neck Oncologic Societies is offered to regional and national organizations of physicians and allied scientists in the specialty of head and neck cancer. The Federation does not accept ‘individual membership’. In order to participate in IFHNOS activities, one needs to be a member of their National or Regional Head and Neck Organization. Membership in IFHNOS gives an opportunity to keep up with the latest in clinical care and research development in the field of head and neck oncology and also provides access to the world’s leading oncologic specialists for specific clinical care questions and issues. You can find out who your fellow members are, what they specialize in and where they are located around the world by simply clicking on one of the search facilities located on the right hand side menu. 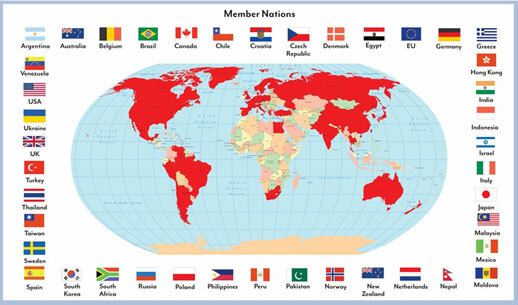 Members of all of the component societies of the Federation are listed alphabetically by their last names, by their primary specialty, by country of origin and under each organization’s membership list. Contact information, is provided voluntarily by each member, of the component societies.